We provide Energy Performance Certificate (EPC) in London. We have certified Energy Assessors nationwide that prepare to visit your property to produce an Energy Performance Certificate (EPC). Be careful of those who attract with low prices and then when quoted the price can be much higher. We have a fixed price, so you know exactly how much your Energy Performance Certification (EPC) will cost you. There might be an additional charge for properties in outside London or large properties. Call our EPC energy assessor on 0207 127 5128. Energy Performance Certificate (EPC) From £55. The EPC outlines some ideas which assist in improving the building’s energy performance. Implementing these can lead to lower energy costs, lowered carbon emissions and can make properties more appealing to potential customers. 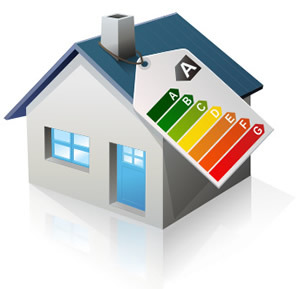 Only approved DEA’s (Domestic Energy Assessors) can issue the EPC (Energy Performance Certification) to you.Energy assessors are trained to look over the property, record what they see and from that make appropriate judgements about the home. If the energy assessor has made a mistake, they may need to resubmit the EPC and issue a new one. This should be done at no further cost to you. If the energy rating is incorrect due to particular info not being available at the time of the energy assessment (for example, a wall cavity insulation certification not available and no clear external wall markings noticeable), then you may need to pay for a new EPC to change this if desired.Each case will be assessed individually and does not impact your statutory rights. It is our company policy not to charge a complete price for a replacement EPC but must be informed us within 14 days of the assessment. The cost of an Energy Performance Certificate ( EPC ) depends on the size of the property, number of floors, built on additions such as conservatories, roofing spaces and extensions. As each different area has to be examined and determined, a bigger more complicated home will involve more time invested at the property and the production of the EPC. More than 4 bed, please call our office on 0207 127 5128. Landmark runs the Domestic Energy Performance Certificate Register on behalf of the Government. An Energy Performance Certificate (EPC) has validity for 10 years . The EPC will stay with the property for the 10 year period no matter how many times it is sold. It is basic passed for one owner to the next. However, we would advise that if the property is being sold and has been upgraded so as to increase the energy rating that a new EPC be obtained. An Energy Performance Certification (EPC) is a certificate which demonstrates the energy rating of a property. An EPC gives prospective buyers or tenants details about the energy efficiency of the property they are buying or renting. The EPC (Energy Performance Certification) is now a legal requirement for every single residential property either rented or sold in the UK. Commercial properties also have the obligation to obtain an EPC and when it comes to public building, display the EPC. If you are purchasing, renting or selling a property, Cenultra EPC assessor will provide you with total flexibility for your EPC arrangement. An Energy Performance Certificate presents the energy rating of a property. The Certification provides a rating for the building, showing its energy performance on a A-G scale (A being the most efficient and G the least reliable) and will also contain recommendations to improve the property’s energy efficiency. A different Energy Performance Certificate is required if your property is a ‘New Build’ called an On construction certificate ( SAP EPC). This have to be organized by the person conducting the work in order to complete the Building Regulations. We provide EPC Certificates to Landlords, Estate Agents and Home Owners throughout London. All our London EPC Energy Assessors are fully qualified, certified and insured to carry out domestic EPCs. Call us now on 0207 127 5128.